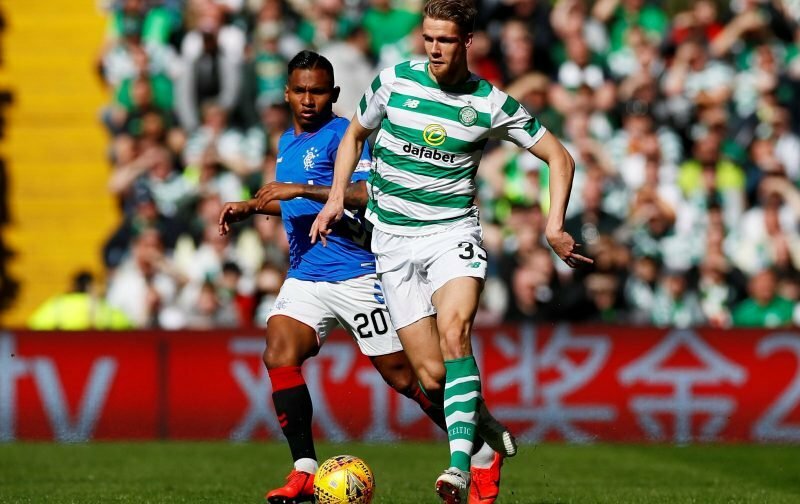 Kris Ajer is flattered but isn’t falling for the Virgil van Dijk comparisons. The development of the young defender has accelerated since the turn of the year with a towering display away to Valencia followed by a heroic performance in last month’s Glasgow derby. On Sunday at Hampden he did his job with the greatest efficiency, snuffing out the threat of Sam Cosgrove as Celtic took a massive step towards winning a historic Treble Treble. A couple of years ago van Dijk was getting similar reviews but a day before he turns 21 Ajer would rather concentrate on improving his own game rather than drawing comparisons with the Dutchman who has transformed the Liverpool defence. “No, I don’t think so!” Ajer said of being the “next Van Dijk” both in terms of where and when he could be headed in the short term. “Van Dijk is the best defender in the world. I am so far away from that. I am just focused on developing every day and Celtic is the perfect club for me to do that. Of course he is a fantastic player.? But we have some fantastic? defenders at our club that I can look up to. There are really top professionals here, like Jozo [Simunovic], who was fantastic on Sunday. The way they look after everybody and treat training every single day, it’s just great to be part of this group. Ajer will go down in the history books as the final signing made by Ronny Deila but never got to work with his fellow Norwegian. Brendan Rodgers converted him from a midfielder into a central defender with his career in that position kicking on after a four month loan spell with Kilmarnock. Last May he signed a new four year contract with Celtic.